AudioCodes’ provides IPMedia™ family of market-ready, standards-compliant media server systems designed for the carrier environment. 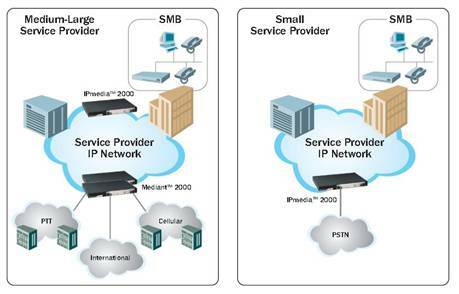 AudioCodes media servers enable Network Equipment Providers (NEPs), Application Developers and System Integrators (SIs) to offer Service Providers revenue-generating enhanced voice services such as conferencing, transcoding, messaging, network announcements, auto-attendant, and Interactive Voice Response (IVR). AudioCodes application partners provide a variety of applications jointly with the AudioCodes' media server product line to benefit service providers.